Waterfall Info: From the bottom, this large waterfall is the first waterfall on High Shoals Creek. The waterfall consists of two sections; the upper section lies off-trail and out of sight from the base. 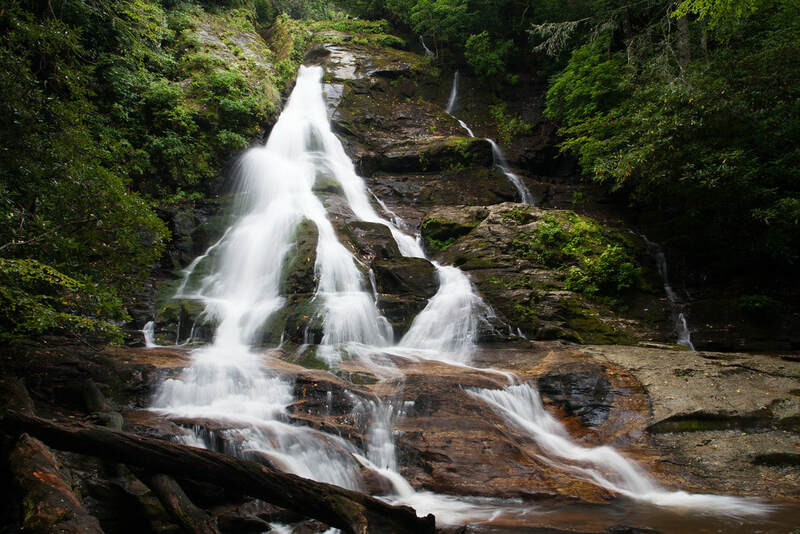 Access Info: High Shoals Falls is at the end of a 1.2-mile trail from Indian Grave Gap Road (FS 283).